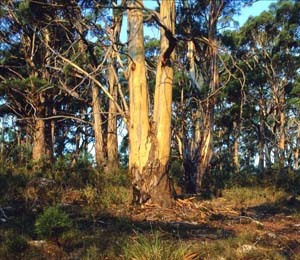 Eucalyptus pulchella is a common eucalypt in south-eastern Tasmania. 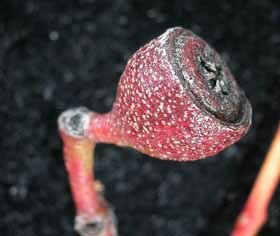 It grows on relatively dry and fire prone slopes, especially on dolerite geology. 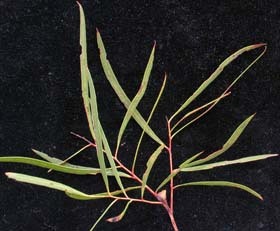 It is an erect tree with smooth bark except near the base of the trunk, and very narrow leaves (only about 5mm wide). It is a member of the peppermint group of species, which also includes, E. nitida, E. tenuiramis, E. coccifera, E. risdonii and E. radiata.